Color Club Beyond is a dark grey, almost black, linear holographic nail polish. 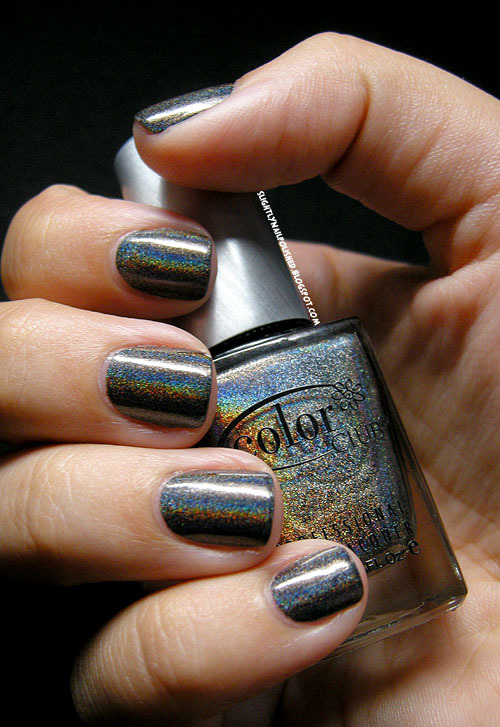 It was released in 2013 as part of Color Clubs Holo Hues 2013 Spring Holographic Collection. 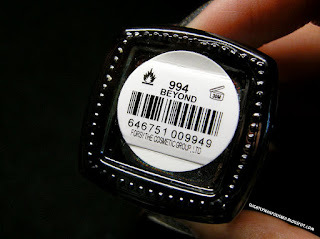 Under artificial light, Beyond has a dusty quality. You can really see this in the pictures I took inside. 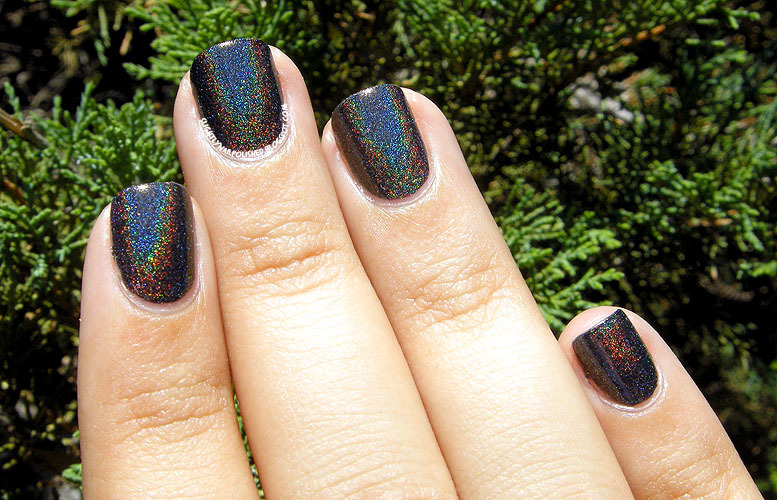 This is normal with holo's though. You still get a hint of a rainbow, but it is really subtle. In sunlight there is no hint of this "dustiness". Just bright, glorious rainbows. As usual with holo polishes, Beyond really comes to life in sunlight. Which is why holos are one of my favorites for late-spring, summer and early-fall. It looks amazing! The photo's don't do it justice, really. There is 3 times as much rainbow-goodness than what the pictures are showing. The formula is thick, but not hard to handle. I have noticed, though, that the longer you have the bottle open, the thicker the polish gets. So if you have a problem with it thickening, recap and let it sit for a few minutes. If that doesn't fix the problem, grab your nail polish thinner. Coverage is amazing. You could almost get away with one coat, depending on how thick you make your coat. I prefer 2 thin coats, though. Thin coats dry incredibly fast. You could easily knock a manicure out in 20 minutes with this polish. The only problem I have with this polish is that it does chip easily, but usually not until day 3 or 4. That depends on how hard you are on your nails, how long and flexible they are, and whether or not your follow up with daily topcoats. 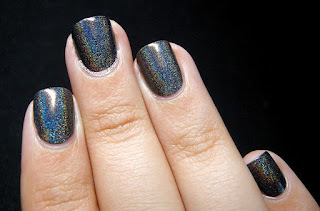 Color Club Beyond is an amazing dark grey/black holo polish. One of the best from their 2013 collection. I'm not sure if this is still available in stores but you can find it online no problem. 8ty8 Beauty, Head2Toe Beauty, TransDesign, and EnoSpring still have them in stock. You can also check eBay! I would definitely recommend this polish to everyone who loves a little magic on their nails. 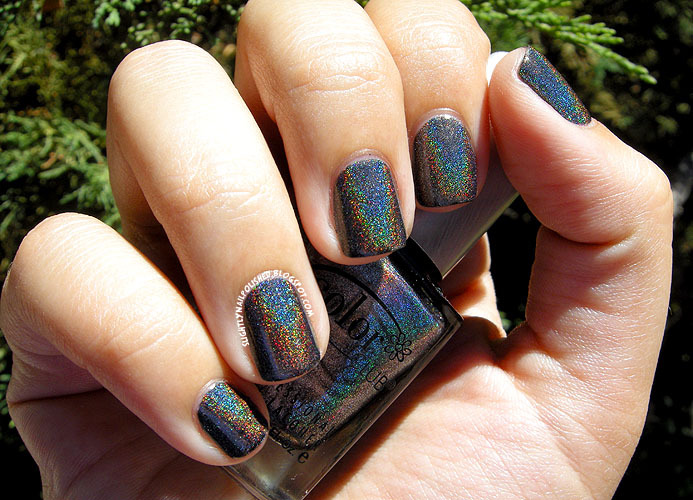 Holographic nail polishes are very magical.